Dog socialization is one of the most important parts of training. Every owner wants to have a well-behaved, calm and even-tempered dog and the path to that state begins with proper socialization. Exposing your dog to other people and other dogs is a vital step in ensuring that he behaves properly and can help to ease stress for both him and you. In order for it to properly take hold, the process should ideally begin as early as possible. Socializing a puppy is best started between three and twelve weeks of age, when pups are at their most receptive and most sensitive. At this point in their development it is easier for them to get used to different situations and learn how they should and shouldn't respond, which are the keys to socializing a dog. Of course, it's not always possible to begin dog socialization that early in life, if you adopt an adult dog or your puppy had to be isolated for some reason while it was young. But that doesn't mean you can't socialize an adult dog. No matter what age, it is always possible to properly socialize, provided you do it the right way. A great place to begin is with a daily walk, where you will naturally encounter people and dogs and be able to control your dog's response to them. Whether you're socializing a puppy or an adult dog, the important thing to remember is that your dog will take his cues about how to behave directly from you. The way you respond in a given situation will affect how he responds. If you're walking your dog and you tense up when another dog approaches, he'll read that as a sign of danger and respond in kind. Similarly, if you yell at him to stop, he'll pick up on the sound of your voice rather than your words and react badly. That's why the most important element of socializing a dog is remaining calm, yet assertive. A gentle sideways tug on the leash, speaking calmly or simply not reacting at all to the other dog or person will help your dog react properly. That calm approach begins before you start your walk when you should wait for him to sit patiently before putting his leash on so that he's not overly excited and pulling during your walk. 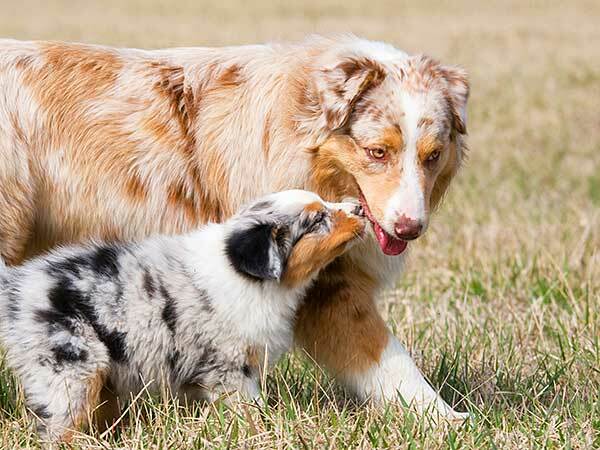 This approach to dog socialization is particularly important for excitable, active breeds like the Australian Shepherd, but it holds true across the board. You can also help to socialize your dog by taking him to the dog park, but you might want to introduce him to it gradually. Walk around the outside of the fence first so that he can see and smell the other dogs before taking him in and letting him interact with them. The same thing holds true when socializing a puppy—make it gradual so that he can slowly become accustomed to the different situations. When attempting to socialize an adult dog, you might also want to employ a muzzle. Not only can a muzzle help deter barking and biting, but it can also serve to help calm your dog down, making the entire process easier on him. With the right approach, dog socialization can be an easy and successful process, allowing your dog to become used to a variety of situations and encouraging calm behavior that makes him easier to work with. If you have a puppy and you'd like some guidance to make sure you are socializing them and training them properly or have an older dog that wasn't socialized and is now exhibiting behavior problems, I highly recommend a program called The Online Dog Trainer. It was created by a professional dog trainer known as "Doggy Dan". 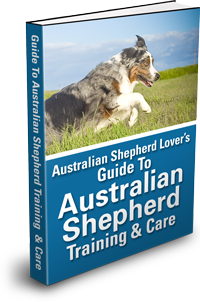 His program features hundreds of videos which are organized into sections which cover topics from the foundations of dog training that are necessary for the success of training your dog, to obedience training, to dealing with specific behavior issues. You can find out more about Dan, watch sample videos, and learn more about his program here.